They were from the Oregon School for the Deaf, and I would guess 5-7 years old. Many had never “trick or treated’ outside the protection of the dorms or classrooms. This was high adventure. 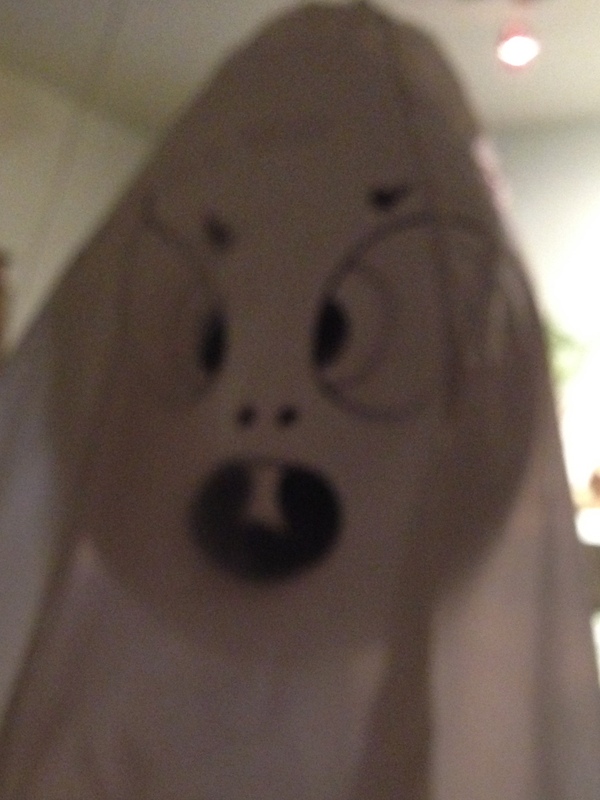 Dressed as ghosts, goblins, princesses, and monsters, they approached the house laughing with hands flying. They thought I’d be like every other house. Hand over the candy and nod. Though I had not expected them, I knew something they did not. Once the ice was broken they smiled and each presented themselves so I could make the appropriate responses to their costumes. They were more eager for conversation than sweets. I signed with each one until every costume was appropriately appreciated. Then, they were off –laughing and signing — to the next house. I closed the door feeling that I had been on the right street, just at the right time. That is how it felt to me. I can still see those little faces light up. To greet someone in their own language is a gift. This is a great story. I’m sure it was a pleasant surprise that someone was actually communicating with them. I can only imagine how much it meant to them. I’ve always wanted to learn ASL. You’ve inspired me to look into learning it again. It’s a lot of work, as all languages are, but taps into a unique part of your brain, in my opinion. Sometimes when I can’t think of how to spell a word, I fingerspell it (the way some people write it out). If it does not ‘feel’ right, I know it’s wrong.